The material submitted for presentation at IEEE IS’16 must be original, not published or being considered for publication elsewhere. All accepted papers shall appear in the Conference Proceedings and on USB Flash drive, and will be distributed to participants. IEEE holds the copyright of material presented at the conference. One of the authors should fill in the Copyright Transfer Form using the electronic copyright possibility (eCf). Then please pass steps 1, 2, 3, in the end, if the process is successful, you will receive a message style ‘OK’ and an attached file ‘copyright consent’. Every author should pass through the IEEE PDF creator form (PDF express) before the final submission of his paper. We are sorry, but if PDF express returns errors, the paper isn’t acceptable for publication in IEEE sources. Collect copyright transfer agreements, one form per paper, not per author. IMPORTANT: The IEEE Copyright Form must be completed. An electronic copyright form is also available. Conference Organizers register with eCopyright to create an account that authors access online. The Organizer then receives a weekly report of which copyright transfers have been completed. Instruct your authors to add the copyright notice to their papers before creating PDFs. Copyright notice can be found in Section IV – Copyright Information in the Letter of Acquisition. 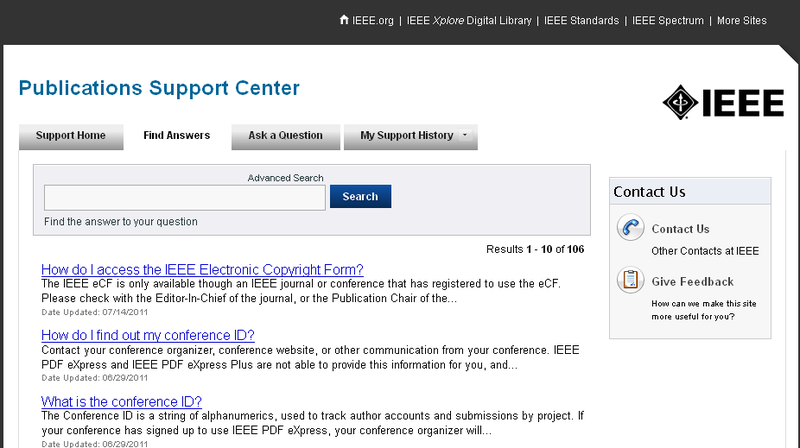 Instruct your authors to use the IEEE PDF eXpress site to validate their papers (see following page). Provide IEEE Xplore®-compatible PDFs to Conference Operations. If you are not using a publishing vendor’s assistance, use the use the IEEE Packing List Generator (from the IEEE Publishing Technology Resources web page ) to expedite delivery of your PDFs to Xplore. Distribute the following page to your authors to provide them access to free Word and LaTeX templates and to PDF instructions MS Word and LaTeX templates.